Profession is the pillar of the life. It is true that predicting the professional prospects of a native is a tricky job. In this fast life all the professions are undergoing tremendous changes due to technologeal advancements. Through divine source of Astrology, we analyse the physical, mental and spiritual level of the native through his horoscope. 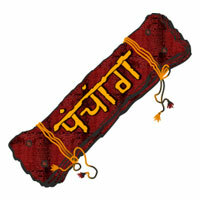 Karma Bhava is the most important pillar of the horoscope. Karma done by the native not only reveals about his profession but also about the capabilities, morality of the native. Karma Bhava signifies the name, fame, success, power, faultily, respect, humor, dignity, action, trade and commence, political power, repetation status and command. Before analyzing the profession house we should consider the following factors to judge the general strength of the horoscope. Ie Lagna Bhava, lagna lord, Moon kundli, navamsa chart to assess the strength of the planets in the horoscope. In addition, for rapid growth in one’s care it is essential to have 2nd house of wealth 5th house of intelligence, 9th house of Destiny and 11th house of fullfilment of desires should be strong. The strength of the horoscope and the powerful planetary combination i.e. yogas reveals the total accumulated karma of the person. If the Raj yogas and horoscope is strong indicates that person is destined to get the name, fame, glory, reegution in the society in field of profession. The planets posited in the 10th house from the lagna, Moon or Sun (which is strongest among the three) ascribes the nature of the profession from which the native will acquisite wealth. If there is no planet posited in the tenth house from lagna, Sun or Moon, we take the lord of the Navamsa occupied by the lord of the 10th from lagna, Sun or Moon. Dashmamsa is the concerned divisional chart for the profession. The strength of 10th lord in Dashmamsha (D-10) chart should be given equal importance otherwise the results can be misleading. 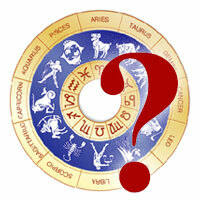 Different professions signified by different planets are as follows when posited in 10th house. Sun – is the significator of name, fame, authority, administration, government and the profession related to medicine as the Sun is the main karka of innumity. Moon – Signifies professions related to artistic field, drospetality, water related business and work related to woman welfeare. Mars – Signifies energy, action, interpret nourish, armed forecast work related to metal. Mercury signifies intelligence, finance writing and work related to the education. 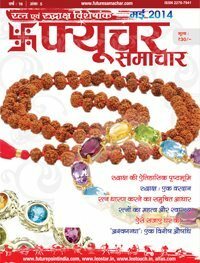 Jupiter signifies purely, dharma, charity, professions related with judgement law. 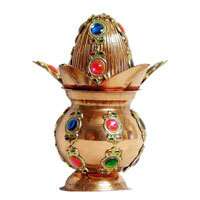 Venus – Signifies glamour, beauty, art and profession dealing in luxurious items. Saturn signifies service, dealing with labour responsible jobs, and jobs related with punishments. Birth chart only indicates the professional field of the native, the timing of rise in profession is indicated by Dasha of planets. 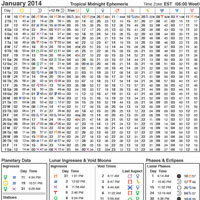 Operating during a particular period nad the favourable transit of planets fructifies the promise in the chart. Dasha and transit parameters for determing the timing of rise in profession. Dasha of 10th lord of birth chart. Dahsa of the dispositor of 10th lord. Dasha of lagna lord of Dashmamasha. Dasha of a planet occupying or aspecting 10th house of Dashmamsa or birth chart. Dasha of 7th lord, 5th lord, 11th lord. Dasha of Ninth lord ie bhagya bhava which will change the destiny. The favourable Dasha gives the result when the transit parameters are also favourable ie when Jupiter and Saturn (ie Bhagya nad karma lord) make contact by conjunction or aspect with the two conditions out of four ie. 10th house, 10th lord, 7th house, 7th lord from lagna or Moon. Promising charts having powerful Raj yogas yield fruitful results as discussed in kundlis as follow. Lets short with salt, go ones to telephones, television and just do not stop at automobile, we are talking about the owner of the multi starver company Tata Industries, Ratan Tata from as Sagittarius ascendant, Bhagyesh, 10th lord and 11th lord in lagna. Parvartana yoga between the lord of 2nd house and 4th house assures the inherited empire from the family and to increase his credibility in the profession. His 11th lord, Venus dasha starts in 1955 and from that period he never looked back and in 2001 – 2008 in the sub period of Jupiter, which is Bhagyesh he displays the smallest affordable car for the Masses ie Navo the cheapest car in the world and which made with the automobile king of India. An unimaginable journey from chandni chowk to china beemes true when one speaks of our politician Mayawati. She is born as a cancer ascendant and the 10th lord Ma in own sign in 5th house Bhagyesh Ju in Dhana Bhava ie 2nd house. According to the Jaimini astrology aspect of 5 planets on the lagna and 10th house, 7th house and the three planets in the Kendra astrology their impact on the pillars of the horoscope yielding the horoscope very powerful. During the Dasha of Saturn in 1987 her political career formed. The man behind the clean nad dependable electral system of our country India. The ascendant lord Jupiter and 9th lord Sun makes a parivartanya yoga. The lord of 2nd wealth and lords of 11th gains Saturn and Venus occupies their own signs. Rahu in 3rd house going outstanding stamina and energy. In the Ketu dasha period 7 years. Placed in the 9th house, gave him high intution, intelligence and to work for the Saturn. 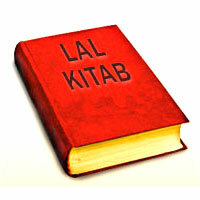 In the dahsa of Venus 11th lord from 1989-2009 which is the Y.K. planet from the Moon chart his powerful personality came into limelight and transformed the shape of election commission of India. The golden boy of Indian Tennis who made the Indian play proud at the Olympics. He is born as Virgo ascendant and in his natal chart 8 planets are ascribing their impact on 10th house. 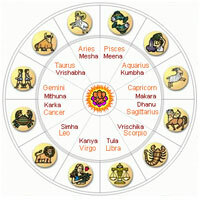 By Jaimini Astrology, all the kendras have impact of 8 planets which makes the pillars of the life very strong. The debilitated planets Jupiter, Ketu, Rahu, the debilitation is being cancelled, thus going rise to neech Bhanga Raj yoga. Five planets in 10th house gives the total effect of Mars, thus. Native, in the field of sport attained name, fame and recognition. His golden period in the dasha of moon (which is 11th lord) from 1992-2002 gave him international success in the field of tennis. 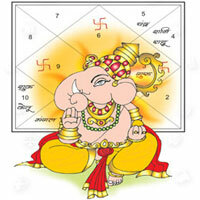 When auspicious promise about the successful professional life of a native is indicated there in his chart in that case native acquires all positive results in his professional career if Bhava, Bhavesh and Karka of 10th house are in strong position along with lagna lord and destiny lord especially during the combined effect of transit of Jupiter and Saturn on 10th house if major period and sub period in operation are also good.